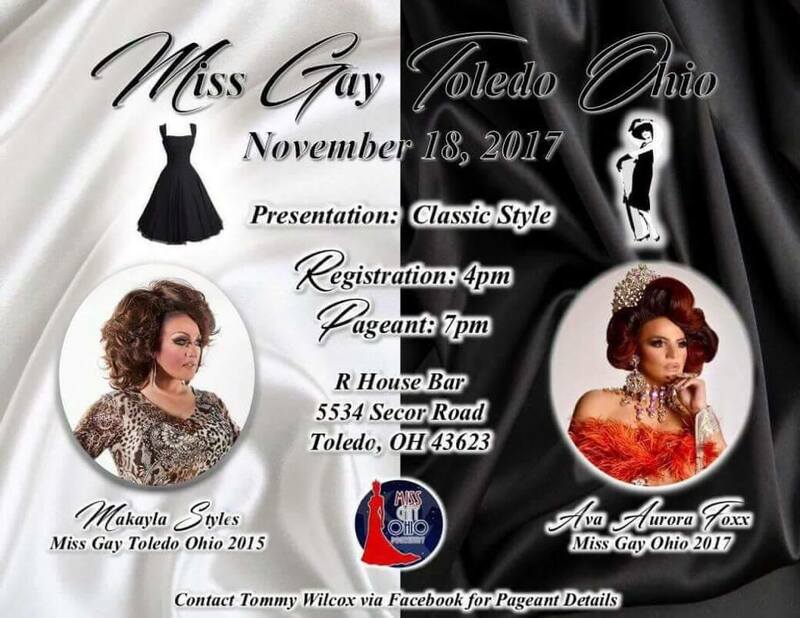 Miss Gay Toledo Ohio is a prelim to Miss Gay Ohio. 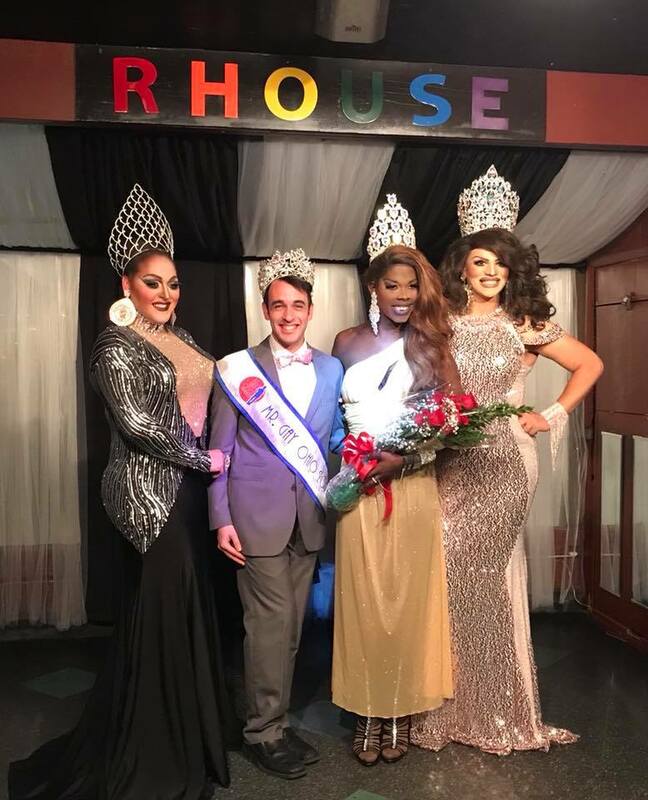 Miss Gay Toledo Ohio 2018 pageant held at R House (Toledo, Ohio) on the night of November 18th, 2017. Pictured left to right: MaKayla Styles (Miss Gay Toledo Ohio 2015), Matthew Allen Meade (Mr. Gay Ohio 2017), Sasha F. Mizrahe (Miss Gay Toledo Ohio 2018) and Ava Aurora Foxx (Miss Gay Ohio 2017).